Pressure Cooker Vietnamese Pho Tai tastes as good but is better than in an authentic Vietnamese restaurant because it is made at home. You haven’t lived until you have tried Pho!!!!! It used to take hours slaving over a hot stove, just to make the broth. 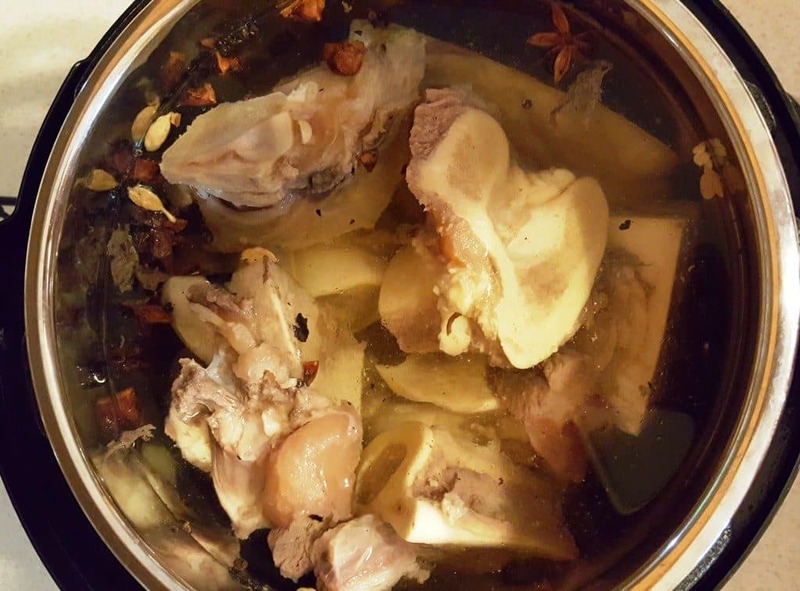 Using an Instant Pot, Mealthy MultiPot or Pressure Cooker to make the Pho Bone Broth is no only so much easier, it is so much better. The results of this Pressure Cooker Vietnamese Pho Tai will knock your socks off! I lived in Tarzana, California for many years. The Valley has wonderful restaurants and all kinds of ethnic food could be found. About five minutes from my home was a wonderful Vietnamese restaurant in Reseda, California, called Pho No 1. 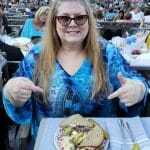 The food is incredible and I used to eat there about three times a week. I remember the first time I walked into Pho No. 1. It was around 10:00 on a Sunday morning. There were individual tables and big round tables where several families or individuals could sit. I chose to sit at one of the big round tables. The waiter spoke broken English. The place was jam packed and the tables were full of Vietnamese people. I had struck gold! I don’t want to eat Americanized Vietnamese food; I want the real deal! My research found that Vietnamese people enjoyed Pho for breakfast and since I love authenticity, I decided to have Pho for breakfast. The people were lovely and it was fun learning how to eat Pho. 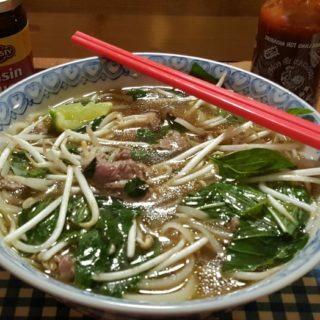 Remember, good Pho starts with a good homemade broth, so please don’t purchase powdered Pho seasoning in a box or packet. 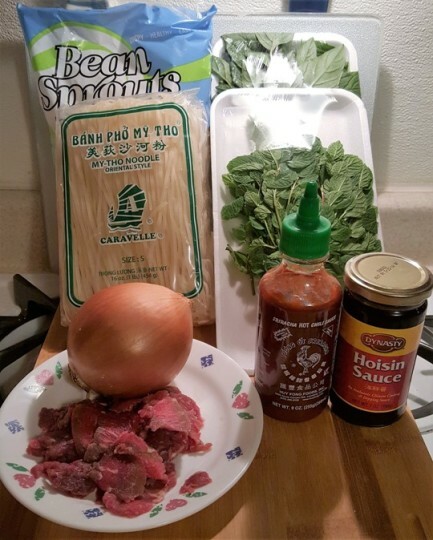 If you are going to make homemade Pressure Cooker Vietnamese Pho Tai, start with the best ingredients. 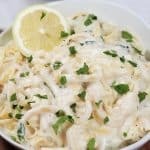 Three Crabs Brand Fish Sauce is the best Fish Sauce to use in this recipe! I use Elephant World Pho Whole Spices. 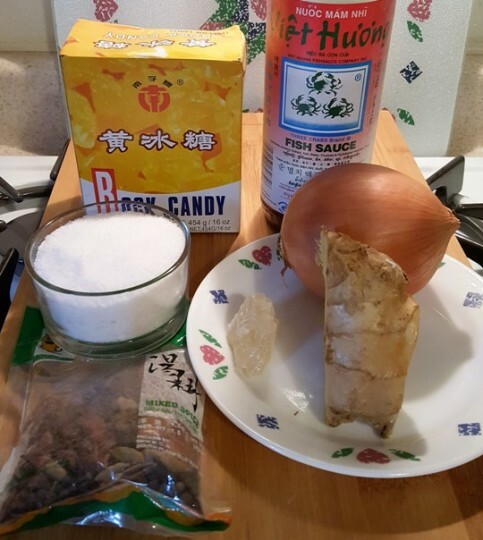 If you cannot find that locally, this Que Huong Pho Seasoning Mix will work. Just make sure you use whole spices, not powdered or freeze dried. You can always purchase the spices separately, if you like. 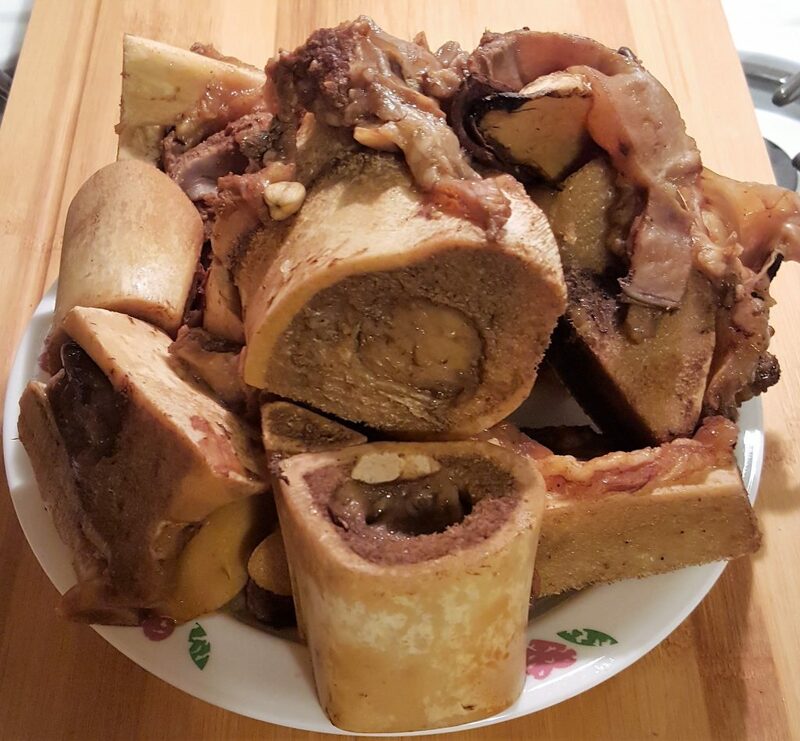 If you don’t see knuckle bones in your market’s display case, ask your butcher for knuckle bones filled with marrow. The marrow has so much flavor. Cut the onion and ginger in half and place them on a cookie sheet in the oven. Cook them until they are nicely charred. 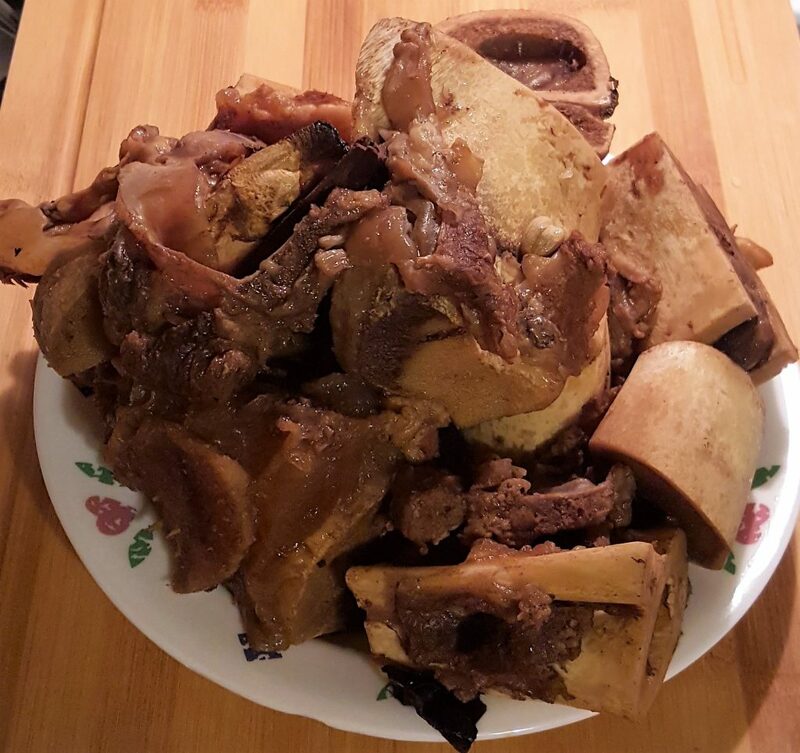 Either use a Large Mixing Bowl and add the bones or soaking a few hours to remove the blood or use your Instant Pot, Mealthy MultiPot or Pressure Cooker and quickly and easily par boil the bones to remove any impurities. 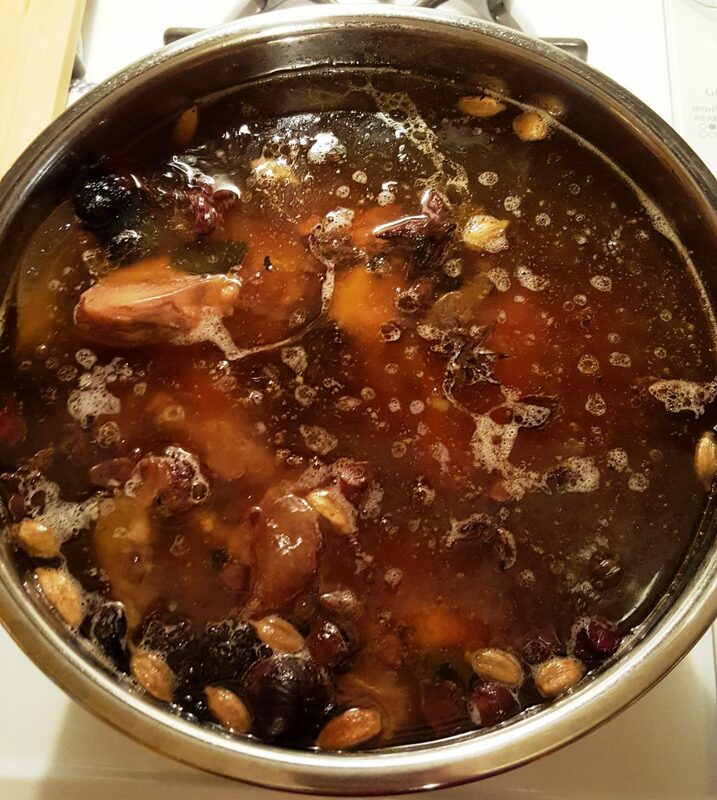 Drain the water from the par boiled bones and place the bones back into the Instant Pot, Mealthy MultiPot or Pressure Cooker. Place your Pho Mix into a Spice Bag and place it into your Instant Pot, Mealthy MultiPot or Pressure Cooker. Add in the Three Crabs Fish Sauce, a nub of rock candy, charred onion, ginger and, salt. Add fresh water to the fill line in your Instant Pot, Mealthy MultiPot or Pressure Cooker. Lock on the lid and you are ready to make some Pho! I remember years and years ago, watching how fish sauce is made. I am glad I had already tasted and loved fish sauce, before seeing the documentary on how it is made. Hehehehe. Strain the broth from the Instant Pot, Mealthy MultiPot or Pressure Cooker and then return the liquid back to the Instant Pot, Mealthy MultiPot or Pressure Cooker. Select the sauté button and then adjust it to More/High, if you have the option on your Instant Pot, Mealthy MultiPot or Pressure Cooker. A Salbree 3 quart, 6 quart or 8 quart Steamer/Strainer Basket is perfect for straining out the bones and gunk and fits nicely in an Instant Pot, Mealthy MultiPot or Pressure Cooker. Save those spent bones and use them with more bones to make a nice Pressure Cooker Bone Stock/Broth! The broth will be very concentrated, so add fresh water to the fill line on your Instant Pot, Mealthy MultiPot or Pressure Cooker cooking pot. Taste the broth and adjust the seasonings as you see fit. Remember, the broth will be very concentrated. Allow the broth to heat up before serving. You’ll need some ingredients to put in bowls, before you pour the hot broth into the bowls. I like to use Medium Rice Noodles. 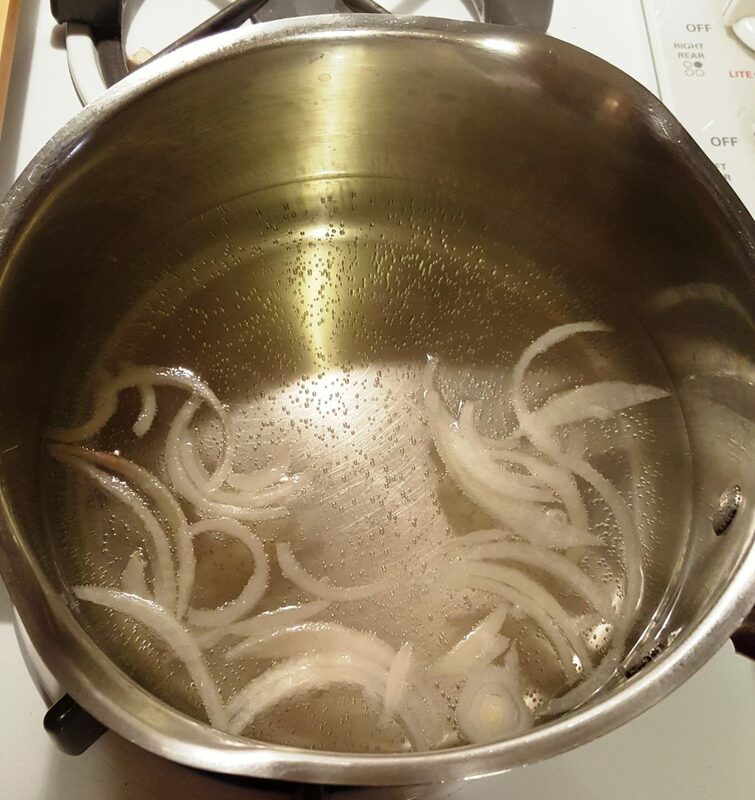 Add the sliced onions to your sauce pan full of hot water. Blanch the noodles and then drain them and set them aside. The noodles will finish cooking when the hot broth is poured over them in the bowls. Have individual garnish plates ready for each person. Add the blanched onions and Vietnamese Medium Rice Flat Noodles to each bowl. Slice your meat very thin and place pieces of raw meat into each bowl. Pour the hot steaming broth into each bowl. Each person should have their own garnish plate. You can customize your Pressure Cooker Vietnamese Pho Tai bowl however you like. I add Thai Basil, bean sprouts, a slice of Scotch Bonnet Pepper and a squeeze of fresh lime. I generally make a couple of batches of Pho broth at a time and freeze them in Reditainer Extreme Freezer Containers. Any time I want Pressure Cooker Vietnamese Pho Tai, all I have to do is put a block of frozen broth in my pressure cooker and I am good to go! Don’t forget to place a label on the containers, so that you don’t get confused between bone broth and Pho broth. I use these cute little Freezer Labels, which peel off cleanly and don’t leave a gunky residue on your container. I like to use a shot of Sriracha and a spoon of Hoisin Sauce in my bowl of Pressure Cooker Vietnamese Pho Tai. Give me some chop sticks and a spoon and I am good to go! Pressure Cooker Vietnamese Caramelized Pork Spare Ribs. Before doing anything, cover the bones in water and let them bleed out for 30 minutes! Cut ginger and onions in half and place on cookie sheet. Brush with a bit of cooking oil and broil on high until ginger and onions begin to char. Turn over and char the other side. 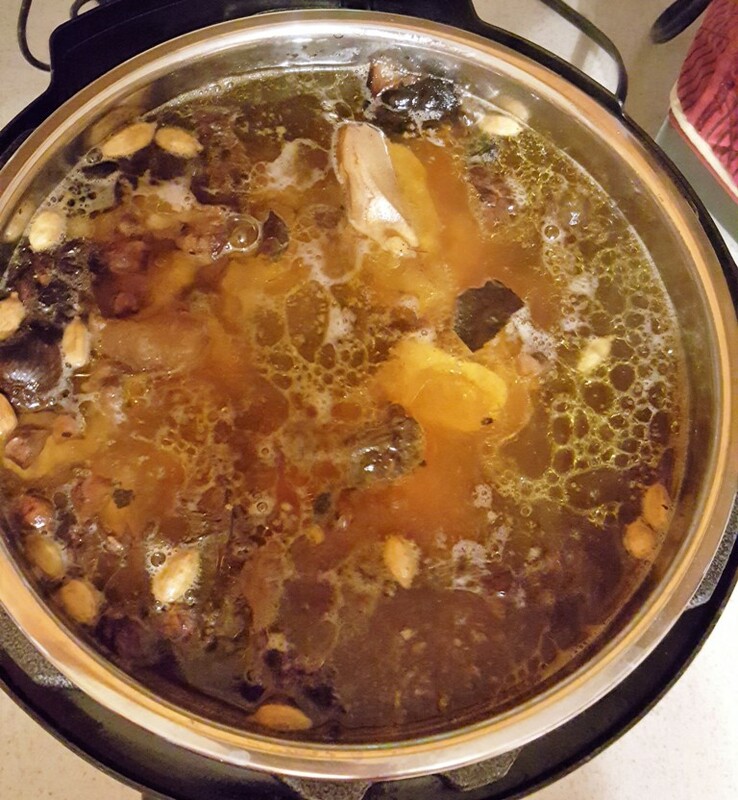 Remove bones from soaking and add bones to pressure cooker pot. Cover with water. Lock on lid and close pressure valve. Cook at high pressure for 1 minutes. When beep sounds, wait 5 minute and then carefully and slowly release the rest of the pressure. 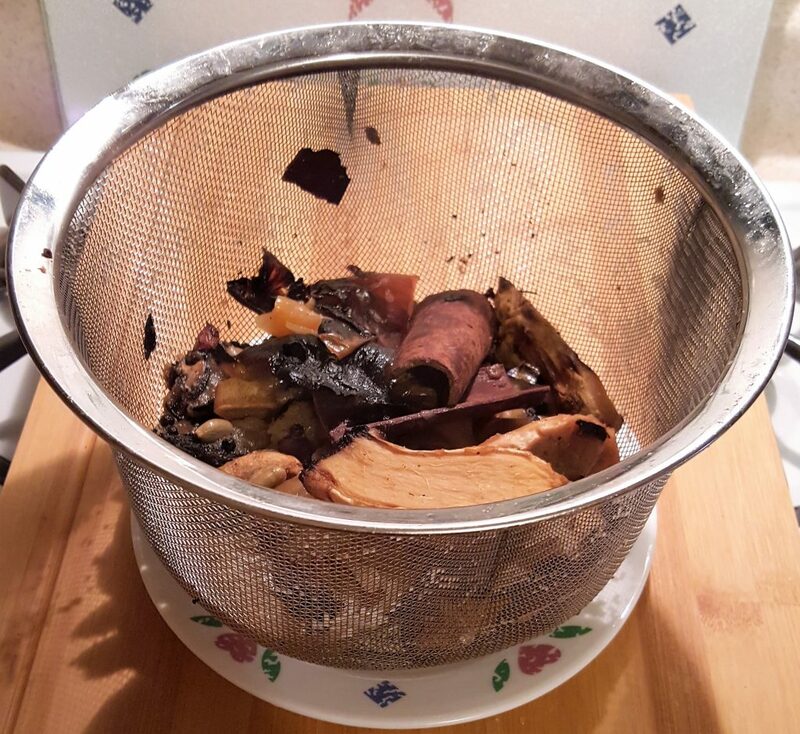 Remove the lid and use a strainer basket to drain the scum and water, reserving the bones. Rinse out the cooking pot and place the bones back into the pot. Add all broth ingredients and fill the pot with cool water up to the fill line. Lock on lid and close pressure valve. 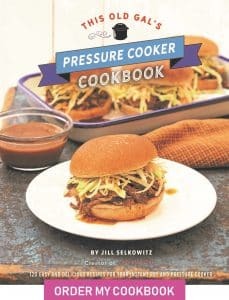 Cook at high pressure for 60 minutes. When beep sounds, wait 5 minute and then carefully and slowly release the rest of the pressure. Strain broth to remove the bones, vegetables, spices. Set aside the beef to use later, if desired. Return the broth to the Instant Pot. 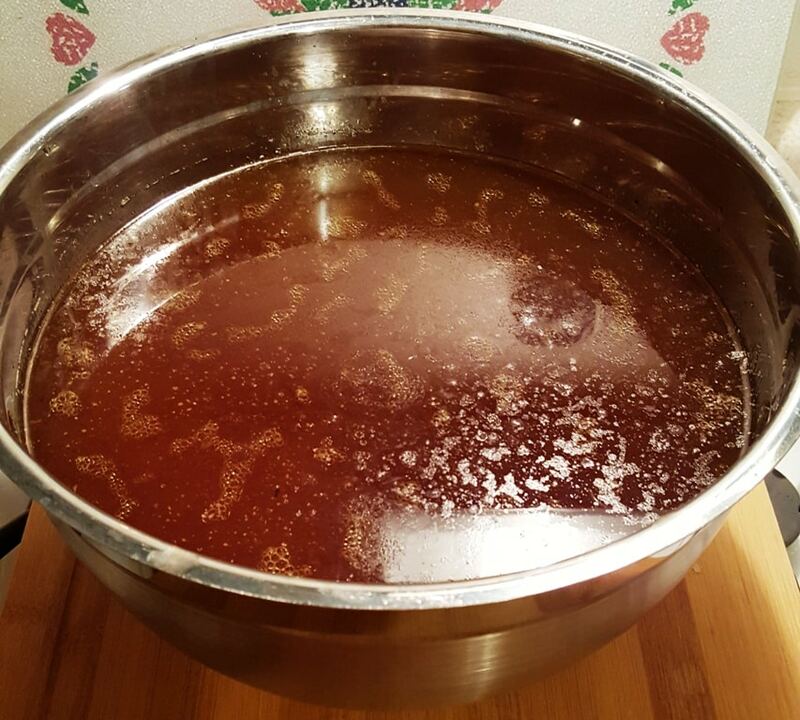 The broth may be very concentrated (depending on size of pot), so if necessary, add a little more water, if the broth is too strong. Always taste the soup before adding more water! Taste broth and adjust seasoning if necessary, by adding a little more fish sauce, salt and/or sugar. Push the sauté or browning and allow broth to boil while you are preparing the Noodle Bowls. Cover noodles with hot water and soak 10 minutes or until slightly softened and opaque. Drain. 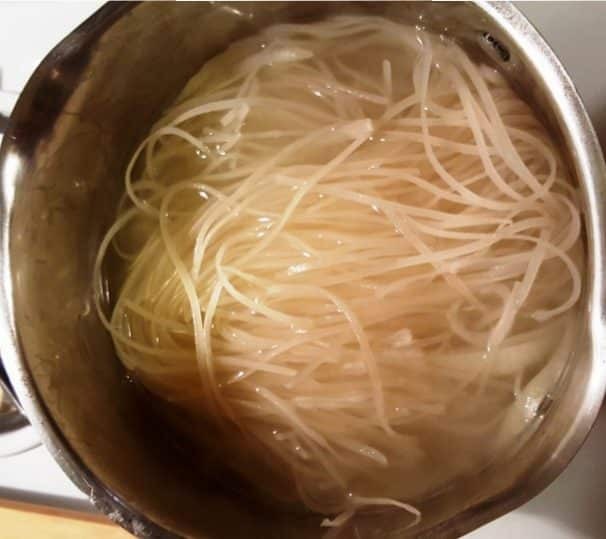 Boil a pot of water and blanch noodles for 10-20 seconds and remove from water. Don't blanch noodles in the broth!!! Divide the blanched noodles into four large bowls. Slice the raw meat (Tai) as thin as possible. Drape thin slices of raw Tai over the noodles. Pour the hot boiling soup over each bowl. Top with paper thin slices of onion, sliced scallions and chopped cilantro. 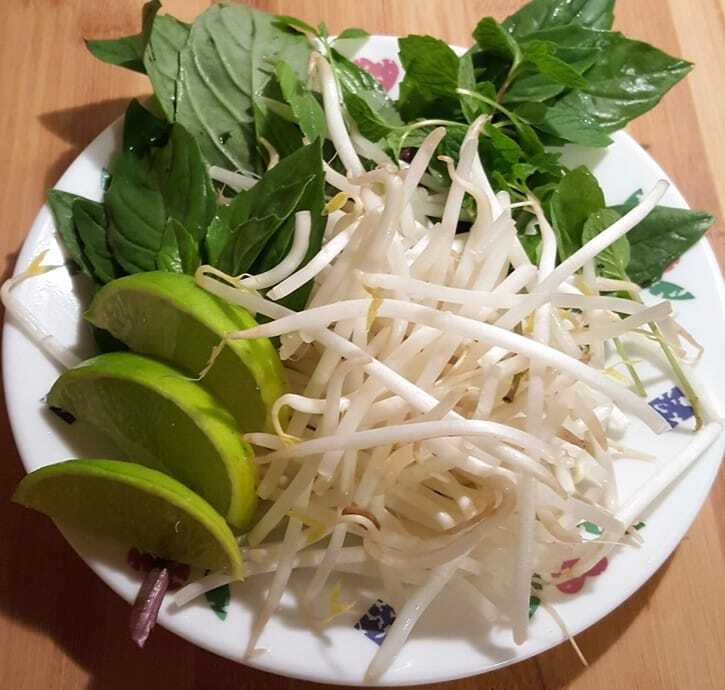 Serve each person a bowl of Pho with a Garnish Plate of Bean Sprouts, Mint, Thai Basil, slices of Scotch Bonnet Pepper and a lime wedge. Have Sriracha and Hoisin on the table ready for seasoning. 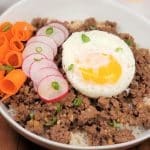 Must Have Table Seasonings for Instant Pot Pho. HoiI put the whole pot of broth in the refrigerator until cool and then remove the layer of fat. If you do this, while you are assembling your bowls, put the pot back in the pressure cooker, lock the lid and set the time for five minutes. You want the broth boiling when you pour it into the bowls. 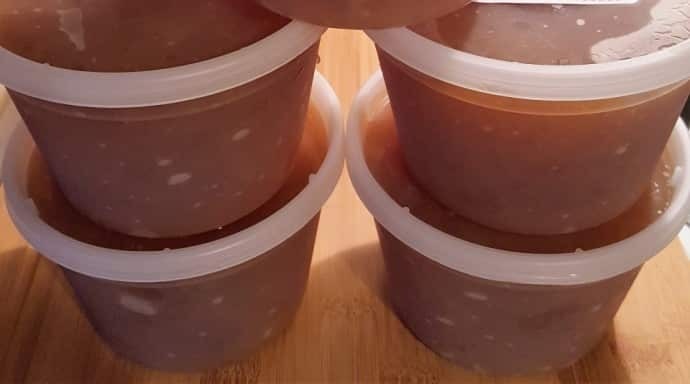 Broth can be frozen in individual containers for later use. I like the Reditainers Extreme Freezer Containers, as they seal nicely and keep out ice crystals. It's so easy to take out a container and pop it in your pressure cooker and have hot broth for your Pho bowl in five minutes! I use the Salbree 6 quart Steamer/Strainer Basket inside my Instant Pot/to make it easier to strain the broth. All you have to do, is lift it out! PIN this Pressure Cooker Vietnamese Pho Tai! 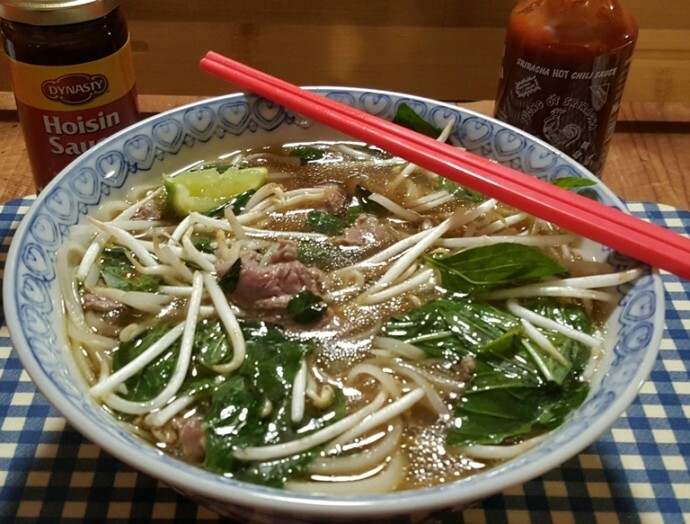 Do you have a recipe for Pho Ga? We love, love, love it! 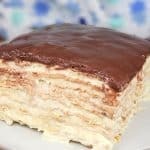 Your recipes are the best! Thanks for all you do for us IPers. 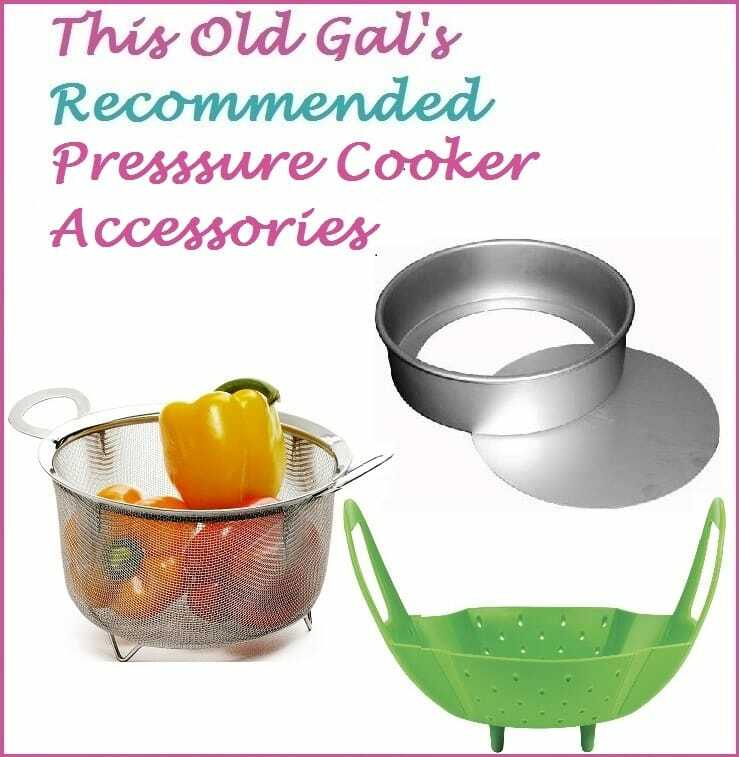 I would like to try this in a stove top pressure cooker Can you tell me the capacity (to the fill line) of your pressure vessel? I am very anxious to try this!!! Would appreciate recipe for the 6-quart IP. Also, substitutions for the rock sugar and fructus adomam. Can’t get those ingredients locally. Also, if you cook the broth with the cheap cut of beef, you later say to set aside, but not what to do with it later. I was looking up pressure cooker Vietnamese dishes because I just received an instant pot and came upon this gem. As Vietnamese person I usually am skeptical of pho recipes online as they usually americanized versions of the dish. 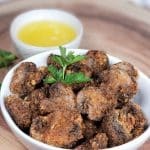 This is one of the most authentic recipes I have seen. Kudos on using the 3 Crabs fish sauce, herbs, and all the spices. I can’t wait to give this a try. Thank you for sharing! Would you make any adjustments for cooking in an Instant Pot Duo Mini? If it has to be a smaller batch, would Time adjustments have to be made? Amazing recipe. My husband is Vietnamese and he said this is how his mom makes it. I made it with IX tail instead of beef bones. Is that correct? Only cook for 1 minute and slow release for 5? I’m confused. Excellent dish, I have just returned from vacation in Vietnam so wanted to try this it was great. I have been perusing your blog for the past couple of days and literally made a shopping list just to try a couple of your recipes. I can’t wait! When I saw that you use the 3 crab brand of fish sauce specifically, I knew you were legit lol. I agree, it’s the best fish sauce brand. All your recipes look so delicious. 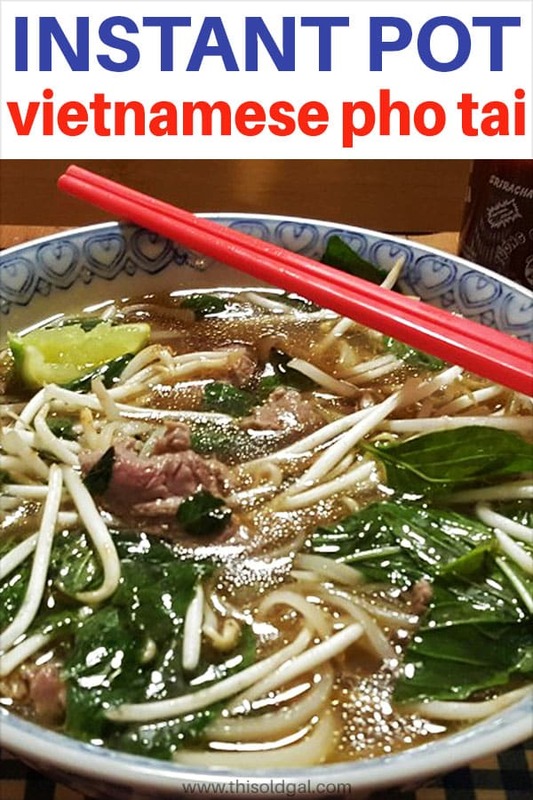 I will have to try this pho sure.